This reading group guide for The Chance includes an introduction, discussion questions, ideas for enhancing your book club, and a Q&A with author Karen Kingsbury. The suggested questions are intended to help your reading group find new and interesting angles and topics for your discussion. We hope that these ideas will enrich your conversation and increase your enjoyment of the book. Everything about Ellie Tucker’s life was seemingly perfect. She had a nice enough house with two parents who loved her, an unshakable faith in God and His goodness, and a best friend who lived down the street and understood her completely. Ellie was a typical fifteen-year-old girl living in Savannah, Georgia until that fateful day her world came crumbling down around her. After admitting her two-year affair and pregnancy, Ellie’s mother Caroline was kicked out of the house by Ellie’s father, Alan. Just two days later, Ellie was forced to leave everything behind and move with her father to San Diego, without so much as a goodbye to her mother and only a teenage promise to her best friend, Nolan Cook, to meet again under an old oak tree. Eleven years passed, and Ellie’s former life dissolved before her eyes, except for her love for her childhood best friend. Forced to take a leap of faith and to put her heart on the line, Ellie learns what it means to be true to promises and to never give up on God’s plan. 1. The Chance opens with Ellie and her father alone at the dinner table. Across from Ellie, her mother’s chair “remained glaringly empty” (p. 20). How does this initial image of brokenness function as a motif throughout the rest of the novel? In what other ways does the image of a broken family appear in The Chance? 2. A prevalent theme of the novel emerges early on when Ellie’s father prays for the Lord to “reveal the truth, please. In Jesus’ name, amen” (p. 20) and Ellie later thinks that “the truth smothered her like a wet blanket” (p. 23). How is truth and truthfulness an important theme in the novel? Are there different versions of the same truth? Like Chaplain Gray later tells Alan, do you think that it’s never too late to tell the truth because truth stands outside time (p. 173)? Why or why not? 3. For Ellie, Savannah is home, the place where she felt happy and loved. In San Diego, everything about Ellie’s life changes, and not for the better. Discuss how the setting—both Savannah and San Diego—affect the characters in the novel. What does Savannah symbolize for Ellie? For Nolan? For Alan and Caroline? In opposition, what does San Diego symbolize for these same characters? 4. Discuss Caroline Tucker. Do you like her? Why do you think she looked for love outside of her marriage? Do you blame her for splitting up her family and causing eleven years of heartache? In Caroline’s situation, is there a clear moral right and wrong? Can you think of a silver lining to this situation? 5. What does basketball symbolize for Nolan? Why is the game so important to him? Do you think Nolan depends on basketball, and if so, for what? Consider the connection between Nolan’s love of basketball and his love of God in your response. 6. On page 74, Nolan and his father recite one of their favorite Bible passages: “with Christ all things are possible.” For Nolan, what “things” does Christ make possible? How does this quote also apply to Ellie and her parents? Do you think that Christ makes the impossible possible for their family? 7. Consider the ways in which Caroline and Ellie are similar. How do Caroline’s choices act as foreshadowing for Ellie’s situation? Against what or whom are both women rebelling? 8. On page 97 Ellie says: “she didn’t really want to find Nolan Cook. Didn’t want him to see how she’d changed.” Why do you think Ellie was so scared to face Nolan? Were her fears justified? Although lapsed in her faith, do you think Ellie is still a good Christian? Why or why not? 9. Discuss the importance of letter writing in the novel. Which characters write letters and what motivates them to do so? Are the letters representative of words that are difficult to say in person? Is there a common purpose for each letter writer? What is that purpose? 10. On page 122 Alan declares that “the truth was . . . Caroline’s affair was his fault.” Do you agree with Alan’s conclusion? What makes Alan realize his fault after so many years? 11. Revisit the zoo trip Ellie and Kinzie take in Chapter Fifteen. Why is this particular moment in the novel so important? What happens to the relationship between mother and daughter on this trip? Do you think Kinzie’s questions prompted Ellie to search for answers to questions she had been too afraid to ask herself? 12. Discuss Molly and Ryan and how they function in the novel. Are they like angels on earth, facilitating miracles? Would the miracle of the reunited family have been possible without them? 13. Is there a particular moment in the novel where Ellie regains her lost faith? Can you attribute her renewed faith in God to any one character? If so, who? Do you think that Ellie and Nolan live happily ever after? What about Caroline and Alan? 14. Were you surprised that Ellie and Nolan rekindled their love under the old oak tree? Revisit this scene and discuss the symbolism of the moment. Was Ellie’s reaction what you expected? Was Nolan’s? 1. 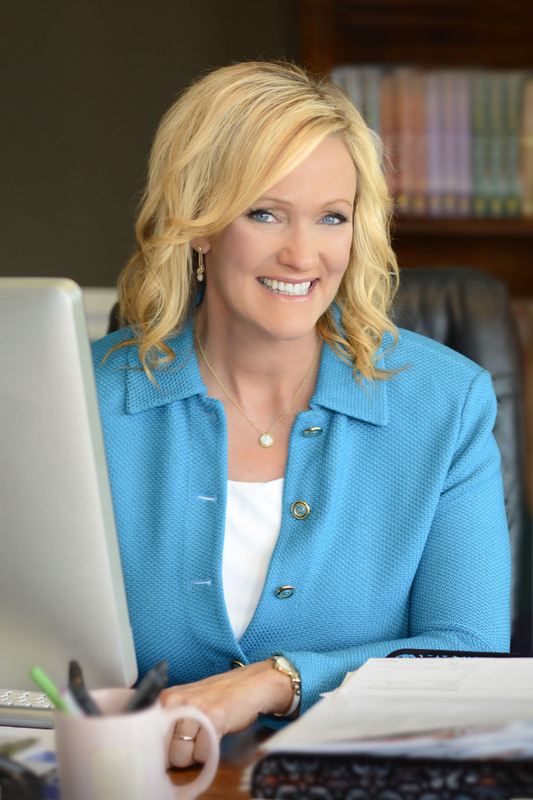 Karen Kingsbury is a #1 New York Times bestselling author of more than fifty novels. Have your book club read one of her newer releases, The Bridge, which tells the story of Molly and Ryan, the two characters seemingly responsible for the reuniting of the Tucker family. Discuss with your book club the ways in which Molly and Ryan’s story is similar to and different from Ellie and Nolan’s story. Why is love often so difficult to track down? What would Molly and Ryan say is the reason for their reunion? What about Ellie and Nolan? 2. The game of basketball is extremely important in The Chance. On page 127, Nolan refers to “the zone” as the place “where there was only God and him and the leather round ball.” Attend a basketball game with your book club, either amateur or professional. As you watch, consider the ways in which the game is a kind of spiritual practice for Nolan. What connections can you draw between love of God and love of basketball? Afterward, share with your group your observations. What did each of you notice about the players? Do you think there is a reverence to sport that is similar to reverence for God? 3. God is very present throughout the novel, and in fact, He speaks directly with many of the characters in The Chance.. Invite your book club over for a faith club meeting. Over dinner, share with your group any moments in your life where you felt God speaking directly to you. What did He say? Like Ryan, do you feel that God has called you to any special vocation in your life, or to perform a certain duty at a certain moment? 1. Publishers Weekly has said that you have a “signature mix of melodrama, formula, and genuine emotional punch” in your novels. In your own words, how would you describe your “signature” writing style? I write Life-Changing Fiction ™, in that every time I tackle a story the characters come to life in my heart and mind. I see the story as a movie before I outline it or begin to write it. It’s important to me that readers relate to the characters in my books, that they see themselves in them. Real, relatable, relational fiction, where every book offers redemption and hope the readers. Oh, and every book should come with a pack of tissues! That’s what I write. 2. You now live in Nashville, Tennessee. Describe how being in the South is helpful for your writing process. Like Ellie, do you find that physical place helps you change your perspective, and maybe opens wider your heart to God? Yes, the physical place makes a difference. I wrote many of my books in Washington – pretty much all my Baxter family books and those involving the Flanigans. I loved living there and writing there. But here in the south my heart feels even deeper, even more connected to the trials, tragedies, and triumphs of life. Maybe that’s because Tennessee is gentle on my heart. I feel hugged by this place, and that makes the writing process happen faster and deeper. 3. The Chance is written from several of the main characters’ points of view. Ultimately, is this Ellie’s story? Or do you think it is impossible to separate Ellie’s story from the others? It is more Nolan and Ellie’s story than it is Caroline and Alan’s … but the stories are interwoven on purpose. When The Chance gets made into a movie, the actors who play Nolan and Ellie will be the leads, and those playing Caroline and Alan will be supporting. 4. Along the same lines, who is your favorite character in this novel and why? I really love them all, but I lean hard toward Ellie. It wasn’t her fault her life fell apart, and though she feels angry at God, her feelings are understandable. We need to see characters who don’t act perfectly in order to see ourselves in their journey. I also love Nolan’s absolute determination to never give up on Ellie. 5. Many of your characters reappear in subsequent novels. Do you think we will meet Ellie and Nolan again in the future? What about Molly and Ryan? You never know! Sometimes I’ll be writing a new story and the characters will take me into a place where suddenly I see familiar faces. That’s happened many times – and it could happen with these characters as well! 6. Describe your writing practice. Do you write daily or when you feel inspired? Do your story ideas come from your imagination or from real life experiences? I write daily when I’m working on a book. I try to find time to get in a chapter or two amidst having 4 high school boys and a full-time staff of family working to give books away to whoever asks. My stories always come from something in real life. A real-life conversation or some scene plays out in front of me and suddenly I have tears in my eyes. When real life makes me feel such strong emotion, I know there’s a story there somewhere. The real-life moment might be only enough for a title or a single line in the book. But it’s a spark, and very soon that spark becomes an entire fictional novel. 7. Is basketball as important in your life as it is in Nolan’s? If not, what is your “basketball”—the thing that makes you most inspired, most passionate? Basketball has at times certainly been high on the list. My husband has coached varsity basketball for twenty-four years. This is the first season when he has taken any time away from the sport. During various seasons we would be consumed with basketball. Don would talk to me about who was coming up to high-school age, and who was trying out. Then at tryouts our conversations were consumed with who was excelling and who wasn’t panning out, who was a surprise. During the season I was my husband’s chief scorekeeper. We have our own system where I know innately when he needs information – how many timeouts he has left, who’s in foul trouble on our team or the opposing team. Yes, it’s been all-consuming at times. Now I’d say that thing is simply family. Seeing our boys through high school and helping them find their path to faith and success. 8. 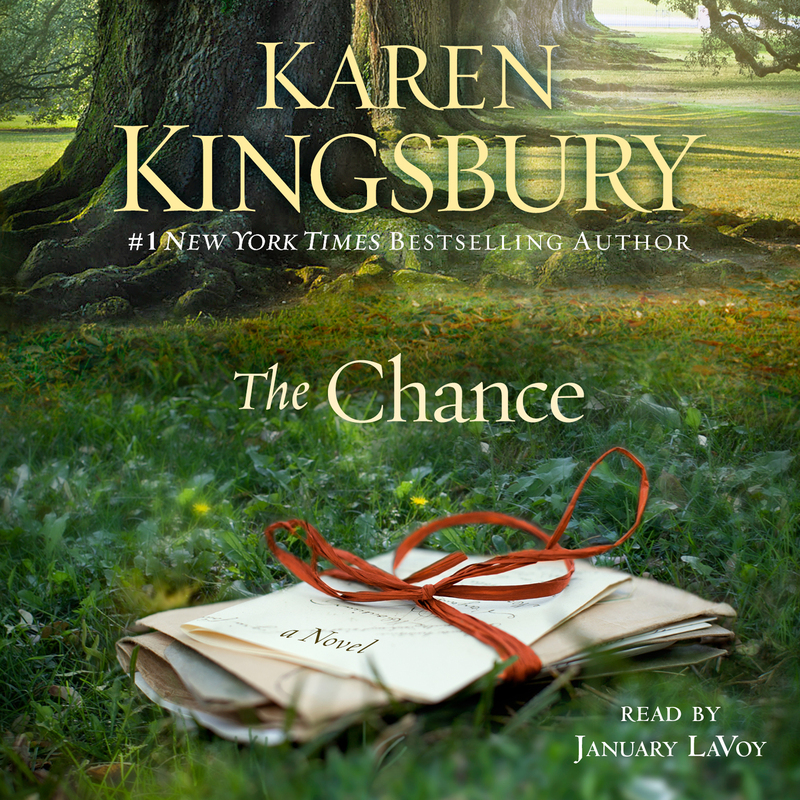 The Chance, like many of your novels, focuses on family relationships. As the mother of six children, can you describe the importance of family in your life? Why do you think it took eleven years for the Tucker family to mend their problems? People have a way of compartmentalizing their hurts. If something’s broken, it’s often easier to assume it’s not fixable than to go the miles – in the Tucker family’s case, literally – to see if there is something worth saving. Family is everything to us, and no, I can’t imagine going eleven1 minutes with things broken. We catch ourselves at home, and have a talk or a meeting about how we’re doing, how we’re connecting as a family. 9. Do you agree that in the end, The Chance is ultimately about the power of forgiveness? Would you name forgiveness as the major theme of the novel? Yes, forgiveness is the theme that runs throughout. The damage when forgiveness doesn’t happen, and the beauty when it does. 10. Who are you reading now? What is next for you as a writer? I’m about to read Mitch Albom’s book Time Keeper. My son just read it, so it’s on my list. I love how he writes. For me as a writer, I’m working on Fifteen Minutes now, and very soon I’ll start with Chasing Sunsets. Both books are stand-alones and are two of the most significant books I’ve ever written. Very excited for my readers to get these books in their hands! But I will say …The Chance has stayed with me. It’ll go down as one of my all-time favorites for sure.